Fred Pratt Green penned the words below which is the first verse of the hymn Rejoice In God’s Saints (No. 708 in the United Methodist Hymnal). This year as we approach All Saints Day they speak to me poignantly as I continue to rejoice and give thanks for the life, faith and ministry of Bishop James Samuel Thomas. Rejoice in God's saints, today and all days! 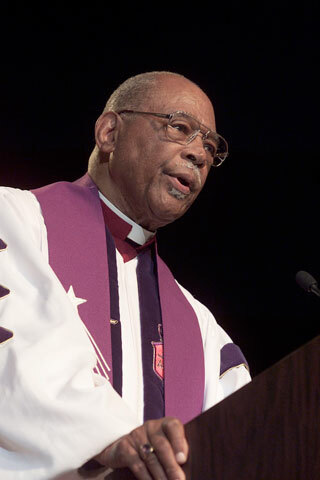 There was considerable church press about Bishop Thomas immediately following his death on Sunday, Oct. 10. You can still reference that material at www.umc.org. The articles about Bishop Thomas included helpful reminders of historical details about the life of this saint of God. But my memories of his impact on my life and the life of the church are what I have been living most closely with. The way of self-giving, Lord, leads us to you.